We’d love your help. Let us know what’s wrong with this preview of An Unexpected Love by J. Haney. Their worlds were fused together by a single ringing of the telephone. Kyler Jefferson was just sixteen when her family was brutally murdered. Left pregnant and alone she has been running for nearly a decade from place to place, terrified that one day they would be found by the mysterious caller with sinister intentions. Since the deaths of his mother and sister, Caleb Hudso Their worlds were fused together by a single ringing of the telephone. Since the deaths of his mother and sister, Caleb Hudson has been living the bachelor’s life. As a private investigator he usually handles cheating spouses and missing persons, which suits him just fine. While investigating a routine case he finds himself thrust into Kyler’s life, consumed by a profound need to protect her from a past he knows nothing about. To ask other readers questions about An Unexpected Love, please sign up. For the last ten years, Kyler Jefferson has been doing whatever it takes to keep her and her children safe. If that means going off-grid, she does it. If that means looking over her shoulder and keeping out sight, she does it. At sixteen and pregnant with twins, her parents and brother were brutally murdered. The crimes are still unsolved and as there were no clues to the perpetrators, Kyler has a quiet life under the radar. Caleb Hudson is a private investigator and in an unrelated case, questions Kyler. One phone call changes everything, setting in motion a chain of events neither were prepared for. Kyler wants to push Caleb away, but he wants in her life and feels the need to protect her from whatever is coming. This book had me on the edge of my seat. Great suspense with plenty of twists and turns, not to mention some heart wrenching moments. It was impossible to predict what was going to happen and I loved it. The only thing I am annoyed with is the ending and that’s because I’ll have to wait for the second book to come out for issues to be resolved. If you like mystery-suspense with some romance thrown in, pick this up. This is an emotional story. There is a huge mystery surrounding Kyler. And she has no one she can really trust. But when she meets a PI in one of the towns her and her twins are living in she thinks she found someone that can help protect her family. Caleb is that PI. He never looked for love and didn't really want one. But he wants to protect this little family. But to do that he has to figure out who is trying to harm them. I read this story in one sitting. I was a little sad it ended in a cliff This is an emotional story. There is a huge mystery surrounding Kyler. And she has no one she can really trust. But when she meets a PI in one of the towns her and her twins are living in she thinks she found someone that can help protect her family. I read this story in one sitting. I was a little sad it ended in a cliffhanger and the next one will be about Liam. But I'm hoping to get a good story out of that too. Omg I loved this book. Kyler and Caleb are amazing. I love dual povs and that just that but you learn about everyone, the story flow was great, it's real. Kyler and Caleb have a past and sometimes that can make moving forward hard especially when that past comes back. This book had it all, love, suspense, mystery and I'm ready for the next one. Kyler Jefferson family was murdered when she was sixteen, so alone and scared with her babies due in only a few months she lives with a friend of her familys. When she moves cause her and the babies arent safe cause who ever murdered her family is still out there, so when she starts to get scary phone calls it time to go into hiding but before she runs she meets Caleb a PI looking into a missing person case when he senses something wrong with Kyler he inserts himself into her life to help and ke Kyler Jefferson family was murdered when she was sixteen, so alone and scared with her babies due in only a few months she lives with a friend of her familys. When she moves cause her and the babies aren´t safe cause who ever murdered her family is still out there, so when she starts to get scary phone calls it time to go into hiding but before she runs she meets Caleb a PI looking into a missing person case when he senses something wrong with Kyler he inserts himself into her life to help and keep her safe. When Caleb meet Kyler he never imaged the feeling she would stir in him, but when he notices how afraid she is after a phone call he offers to help her stay safe and find out who killed her parents, as the police don´t seem to be getting anywhere after ten years. I really liked this book. Kyler is a kickass mama and the kids were pretty awesome as well. Caleb was a big teddy bear. I had all the feels With the storyline *sigh* my heart seriously hurt for Kyler. The secondary characters were really good also. And SERIOUSLY that ending grr!!! Can’t wait for the book in the series. This is Avery intriguing book that I could not put down. I am so glad these two met and gave it a try. She's still hiding after all this time and trying to take care of her kids. He's determined to break down her walls and protect her at all cost. Although there were problems and rough spots they had to go through to get where they are it was a great journey for them. When I first started this story I wasn't sure. As I kept reading I got more and more involved. The mystery that winds its way through the story has you turning page after page. Enjoyable read by J. Haney! I look forward to reading more from this author! A really good, suspenseful, mysterious read! 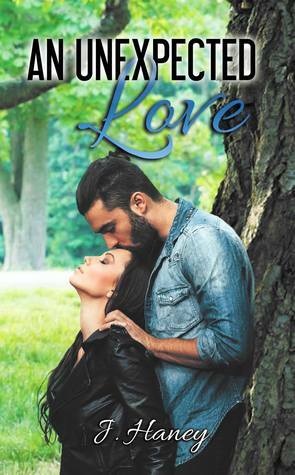 Full of intrigue, heat, romance, what more is needed in a great read?! Enjoy!! The book is a good suspense romance read. The story has suspense, heat, action, romance, intrigue, passion, and a bit of mystery. The characters are good and they have good chemistry. The story ends with some what of a cliffhanger. This is book 1 and wow did this book blow me away you meet a very pregnant 16 year old girl kyler that finds out her whole family is murdered. She’s on the run serveral years later she runs into Caleb a private PI she hires and they both have skeletons they need to get through. OMG this is a super great read!! It is a book that captures your attention from the first page to the end. It is a story of lose and love. It will have you laughing, crying and sitting on the end of your seat to see what happens next. Kyler Jefferson is a 16 year old girl pregnant with twins who in one moment loses all her support and hope to go on when her family is murdered while she is at school. She moved in with one of the cops that came to tell her about her family and they help her move on to a new life, a life that she lives on the run. She is always picking up her twins at the drop of a hat when she is found and threatened. Caleb Hudson is a PI who comes to Kyler's office in search of answers on a missing person case he is working when Kyler gets that phone call that sends her on the run again. Caleb sensing something is off offers to help her and protect her. Not realizing what he is in for when he gets involved with a girl he finds attractive. While they are working together and starting to figure out their feeling for each other working on her case, danger strikes again. Kyler is ready to pick up her life with her kids and go on the run again when Caleb is decides he is going to help her and protect her in his own way. They go on the run together after her house is blown up. Sensing that something is off in the emails she receives from the detective that helped her they agree to meet him and that is when they trouble gets worse for her again. Caleb takes her to his family home and begins to realize his feelings are stronger for her and he will do what ever it take to keep from loosing what he loves again as well. When she finds out he has lost people he loved as well they begin to share more of what they have been fighting, their true feelings for each other. When Kyler is forced to shoot a man to protect Caleb and his father they are forced to go on the run again and go back to her childhood home that she has not been in since the day her family was murdered. She has to fight her demons and her breakdowns but does and is living in a place she thought was safe with the family she was falling in love with. Kyler and Caleb grow closer and will go to all ends to protect each other and their families from these men who want her dead. Then in a flash it is all about to be taken away from her again when she looses her son to the man that wanted her dead as well. She has to become the stronger person again for herself and her daughter when she looses her son in a gun fight for all of their lives. Once again forced to come to terms with lose, she finally does and finds the love and support from Caleb to be what she needs to move forward. It ends leaving you on the edge when she finds out that she is pregnant and going to start a family with Caleb. I can't wait to see what J Haney gives us next when we learn about the life of Liam, Caleb's brother and his family struggles. I also can't wait to get more of Kyler and Caleb as well. Romantic suspense is one of my favorite subgenre of romance. Unexpected Love is a promising story centering on PI Caleb Hudson, who’s out to protect Kyler Jefferson and her children from a murderer. Sparks fly as Caleb and Kyler go on the road, trying to track down answers from Kyler’s past to help capture the killer. The premise of the story is good, I liked how Caleb and Kyler both have these tough attitudes, yet events from their pasts have scarred them emotionally. There are a lot of moments o Romantic suspense is one of my favorite subgenre of romance. The premise of the story is good, I liked how Caleb and Kyler both have these tough attitudes, yet events from their pasts have scarred them emotionally. There are a lot of moments of suspense and sadness throughout the book. But there are also uplifting moments with some humor. My one critique with the book is the pacing. During the beginning and middle, the pace was steady. Then towards the end, it started to move by too fast. Despite that, Unexpected Love is a nice story and based on the ending, this is the last we’re going to be reading from these characters. This book was so sad and had a lot of unexpected turns. I couldn't put it down. Kind of bummed that it ended without a real end in preperation for future books. I wish that some events would not have happened. Made my heart hurt for Kyler. Such a strong female character. This book is actually a 4.5 stars. Kyler Jefferson has been doing whatever she has to do to protect her children for the last ten years. Even if it means going off the grid until the dangers past. Ever since she was sixteen years old and pregnant with the twins, this has been her life. She is an expert at staying off the radar all because her parents and brother were brutally murdered while she was at school and the police haven’t solved these murders. Caleb Hudson is a private investigator that This book is actually a 4.5 stars. Caleb Hudson is a private investigator that is questioning Kyler on a different case when one phone call changes everything. He doesn’t know what it is about her but the need to protect her is strong that he refuses to back off no matter what Kyler says. This is definitely one book that will keep you in suspense, I love when authors do this. Just when you think you know what is going to happen next or who was behind something we are thrown in another curve or unexpected twist. You will want some tissues at one point because there is one that really was not predicted or expected. It was heart wrenching. The unexpected relationship between Kyler and Caleb didn’t feel forced, it actually progressed at a normal rate, if you consider dealing with trying to stay off a killer's radar normal. Kyler’s protection of her children being her number one priority was awesome to see. This is the first book I have read by this author and I will be reading more. The only thing that I’m not really happy about is the ending and then to know that we have to wait for book three. I’m sure there is a reason and it will all make sense but at the moment I’m left with too many questions. Kyler Jefferson had lost it all in one moment. Her family murdered. All she was left with was the twins she still carried. Ten years later, raising her son and daughter she was still on the run. The murderers never having been caught. They would pack up and move and before you knew it, whoever they were would find them again. Caleb a PI was looking into a missing girls disappearance. The last place she was seen was Jefferson Photography and Boutique. While questioning Kyler, Caleb notices after Kyler Jefferson had lost it all in one moment. Her family murdered. All she was left with was the twins she still carried. Ten years later, raising her son and daughter she was still on the run. The murderers never having been caught. They would pack up and move and before you knew it, whoever they were would find them again. Caleb a PI was looking into a missing girls disappearance. The last place she was seen was Jefferson Photography and Boutique. While questioning Kyler, Caleb notices after a phone call, she seemed nervous and afraid. Asking her what happened, for some reason she feels the need to tell him. Caleb unsure why, feels the need to protect her. As the danger looms nearer for both of them will they be able to stop tragedy from happening again. I can tell that this Author and I are going to have one of those love hate relationships! This story was absolutely Epic! I love the depth of the characters and the plot is second to none. The story holds you from page one. I love a great mystery littered with innocent love. BUT! I really don't understand the OMG moment Why??? And there are so many questions left unanswered... I refuse to wait for book 3 I need answers now!!! You know when you feel a characters story so deeply you want to fight for them, cry with them, and just see them beat all the odds. Grab your tissues and don't throw your kindle. Haney has definitely earn a place in my top ten but she has some explaining to do! This book is a must read! This was an easy read, not that I say that in any way to the detriment to the book because I don’t – the book was super, it held my attention from start to finish and I have to say that I would definitely read other work by this author in the future. She had a beautiful writing style, it was just so fluent. Told from multiple points of view the book is sharp, it is busy but it is concise. It has so much going on that it really does need you to watch every word. Kyler has so much going on that she i This was an easy read, not that I say that in any way to the detriment to the book because I don’t – the book was super, it held my attention from start to finish and I have to say that I would definitely read other work by this author in the future. It has so much going on that it really does need you to watch every word. Kyler has so much going on that she is almost swamped by the events that beseech her ever day but some of them are far from normal and finding a resolution is almost like finding a needle in a haystack but that doesn’t stop Caleb trying. Determined to be the one to sort out the mystery surrounding Kyler, Caleb sets about the task, looking to give her peace of mind and to finally show her that she doesn’t have to run anymore. But is the task too much for him or will his past lay waste to his desire to move on? Can this par help each other to heal and to find a forever or are the destined to always be looking over their shoulders? I was looking for their resolution and in a way I am actually realised that I didn’t get exactly what I was looking for because there is most definitely so much more to come from this pair and I am looking forward to more. An Unexpected Love is viewed through many different eyes. Caleb Hudson is a Private Investigator for Hudson and Hudson. While following up on a missing person's case, he meets Kyler Jefferson at her place of business. From that point, Kyler's life is once again turned upside down when she receives a phone call while Caleb is there. Caleb takes it upon himself to protect Kyler, who also is the mother of twins, Jaxson and Avaline, when events start to arise. When Kyler's house is blown up, the threat An Unexpected Love is viewed through many different eyes. When Kyler's house is blown up, the threat to their lives throws them into motion to find a safe haven. Through every effort, Kyler and Caleb, along with his brother Liam, and their dad, Travis, they do their darnedest to keep everyone alive. But it seems that the events that transpired ten years ago when Kyler's parents and her little brother were murdered have come back around again to cause her to run for her life. The one person she thought she could trust is now her enemy. The pain and devastation, love and loss that surrounds this story is evident throughout. When Caleb and Kyler fall in love it's met with struggling hearts but there is no denying they need each other. This book had a great story line and was fast paced. I enjoyed the read and hope to read more from this author. Caleb Hudson is a Private Investigator for Hudson and Hudson. While following up on a missing persons case, he meets Kyler Jefferson at her place of business. From that point, Kyler's life is once again turned upside down when she receives a phone call while Caleb is there. But it seems that the events that transpired ten years ago when Kyler's parents and her little brother were murdered, have come back around again to cause her to run for her life. The one person she thought she could trust is now her enemy. In this first book of the series, we meet Kyler and Caleb. We also find ourselves meeting Detective Ryan, Avaline, Jaxson, and Liam. Who is Tyler? How does he fit into all of this? What things happen that panic Kyler? I really like Caleb, Kyler, Ava, and Jax. Not so sure about Liam yet. Who is behind what happened to Kyler? Who is behind what is happening now? Will it ever be figured out? I really like Caleb and am glad he is there to help her. You're going to have to read this sweet romance sto In this first book of the series, we meet Kyler and Caleb. We also find ourselves meeting Detective Ryan, Avaline, Jaxson, and Liam. Who is Tyler? How does he fit into all of this? What things happen that panic Kyler? I really like Caleb, Kyler, Ava, and Jax. Not so sure about Liam yet. Who is behind what happened to Kyler? Who is behind what is happening now? Will it ever be figured out? I really like Caleb and am glad he is there to help her. You're going to have to read this sweet romance story with a bit of suspense to it, or maybe it is a bit of mystery, could be both and see what happens! Just be prepared with tissues. There are some completely unexpected things that happen when you find out who is behind what has been happening. Wait until you see why. Be warned, there is a cliff hanger at the end! The plot & storyline are very interesting, but the execution was just not to my liking. The personalities of each character seem very disjointed and all over the place. I couldn't get a handle on what was going on with them or with the larger story. A lot of things didn't make sense to me. And while I understand there is to be more, with my overall feelings of this story, I don't think I'm going to read that more. The ending left me with a bigger sense of disappointment - I can handle a lot of things if I feel the ending is satisfactory. J. Haney has a wonderful way with her writing. You get to see the story from multiple points of view, but you will be able to have a full understanding of what is happening in the story. I really enjoyed the characters. Got a better understanding of the trust issue Kyler and Caleb both have in their pasts. e I enjoyed the mystery and suspense of the story , it held my attention from beginning to end and I will definitely read other work by this author in the future. There is a cliffhanger at the J. Haney has a wonderful way with her writing. You get to see the story from multiple points of view, but you will be able to have a full understanding of what is happening in the story. I really enjoyed the characters. Got a better understanding of the trust issue Kyler and Caleb both have in their pasts. e I enjoyed the mystery and suspense of the story , it held my attention from beginning to end and I will definitely read other work by this author in the future. There is a cliffhanger at the end. Kyler Jefferson had lost it all in one moment when her family is murdered. On the run for 10 years, protecting her twins. Kyler meets Caleb a PI, when they meet she has feeling that she can trust Caleb to help her. Caleb is determined to be the one to sort out the mystery surrounding Kyler and why it is happening. Caleb wants to give Kyler some peace of mind and to finally be able to settle down without looking over her shoulder. I voluntarily received an arc copy of this story for my honest review. An intense, mystery , murder and romance al mixed in one neat package that will keep you captivated until the very end wishing there was more. There is one part in this story that left me heartbroken and wondering when they would catch the bad guy. Kyler the heroine whole family was killed when she was sixteen years old and pregnant with twins. She was put in protective custody and its years later and the madman who murdered he I voluntarily received an arc copy of this story for my honest review. She was put in protective custody and its years later and the madman who murdered her family is still on the loose. Caleb is the pi who is helping her he was once a womanizer until he met Kyler and starts to fall for her. Do they find the murderer before it's to late and will Kyler finally get a much needed HEA. A fair warning this book will bring out all of your emotions you have been warned. I give this story five stars but it deserves many many more. I was born and raised in Kentucky. I reside in Greenup County, Kentucky with my family. My debut novel, An Unexpected Love, released August 2015. I’m a single momma to my nine-year-old daughter, Jessalyn Kristine. I also take care and homeschool my autistic cousin, Aiden Sean, he’s ten years old. I love photography and seeing what I can capture through the lens! I just started plus size modeling and have been 5 or 6 pattern covers now. Both kids model as well, I suppose you can call us “One Big Modeling Family. I’m probably the biggest book whore, I know. I love books of all genres and get excited when I’m introduced to a new author. I’m often told I act like a kid in the candy shop, which I could totally see! 2. I'm probably the biggest book whore there is!